Given the dramatic increase in the number of delivery systems bombarding American homes — television, radio, internet, social media, phone, mass mailings, magazines, flyers, advertising copy — and the fact that credit card owners are an easy and abundant target for criminals, it seems inevitable that consumer fraud will reach you at some point. Estimates for the number of people affected by fraud vary because of data gathering differences, but experts agree that somewhere around 12% of American adults (approximately 32 million people) are conned out of money every year. Card-not-present fraud, which are transactions made online or over the phone with the cardholder not present, were the most popular form of scams in 2016, when identity theft and fraud cost consumers $16 billion. A 2016 survey by LexisNexis Risk Solutions showed that the number of successful fraudulent transactions from merchants has risen from 80 per month in 2012 to 206 per month in 2016. That is a 157% increase in just four years. The number of fraudulent transactions prevented by merchants also jumped in that time period from 90 per month in 2012 to 236 in 2016. That is a 162.2% increase. It is very difficult to estimate the true cost of fraud to the U.S. economy, but some experts put it between $40 billion and $50 billion. Those figures probably only account for fraud on the retail level, but there are several other categories of fraud that would push the number to unimaginable levels. The National Health Care Anti-Fraud Association estimates health care fraud costs the U.S. at $68 billion in 2017, a number many consider very conservative. It could be four times that much, mostly in bogus claims against Medicaid and Medicare. The IRS, which has focused far more attention on fraudulent clams, said it stopped 787,000 confirmed identity thefts worth about $4 billion in the first nine months of 2016. The list of fraud’s impacct on the economy goes on and on. About the only thing everyone can agree on is that the cost for businesses and consumers is enormous. The definition for consumer fraud is any instance in which an individual suffers a financial or personal loss because of unfair, deceptive, false, illegitimate or misleading business practices. Consumer fraud targets the most naïve segments of the population, with the elderly and college students being the most frequent victims, but the truth is that even the savviest customer can be a target. In the United States, the Federal Trade Commission (FTC) is the government agency responsible for protecting American consumers from deceptive, unfair and fraudulent business practices. The Consumer Financial Protection Bureau (CFPB) has joined the fight, primarily focusing on student loan, mortgage and other banking-related scams. There are many categories of fraud and while credit card fraud might be the costliest, and thus the one that consumers are most familiar with, identity theft is the one that receives the most complaints. Identity theft has been the No. 1 complaint from consumers for 15 straight years, according to the FTC. Other prominent categories for fraud include old standbys like Medicare, Social Security, healthcare, income tax, insurance and credit cards, with rising problems for fraud found in online shopping, auctions, dating and investment, plus debit cards, mortgage, fake charities, advanced fee and letter of credit fraud. The financial loss from any of these, especially for retirees and those just graduating from college, can be devastating. Caution with every financial transaction is required. Identity theft happens when someone steals personal information — name, social security number, credit card information or bank account number — and uses the stolen information to impersonate the victim in order to commit fraud, theft or other crimes. The FTC said it received 375,000 complaints for identity theft in 2017, but admits that number is woefully low. The Bureau of Justice Statistics (BJS), another federal government agency, said 17.6 million Americans were victims of identity theft in 2014, the latest year they had stats available. A private research company, Javelin Strategy & Research, put the number at 16.7 million people in 2017, including over one million children. The huge disparity in numbers is a factor of the methods used to gather statistics. The FTC counts only complaints filed by consumers that must include affidavits and other paperwork that often is viewed as too difficult for the average consumer. BJS and Javelin use surveys of the U.S. population that they have been doing for several years. The most common type of identity theft was unauthorized use of an existing credit card or bank account. It is estimated that in 2014, 8.6 million people experienced fraudulent use of a credit card, 8.1 million experienced unauthorized use of a bank account, and 1.5 million were victims of misuse of telephone, insurance or online accounts. Some people fell into two or all three of those categories. Javelin put the economic costs at $16 billion. What makes identity theft particularly dangerous is that the victim often only finds out about it after the damage is done. By the time a victim is alerted to any problem, the identity thief may have already emptied a bank account, taken out a loan, obtained and used a credit card, applied for government benefits, or otherwise caused the victim some sort of financial, personal or professional harm. Such practices may ruin a victim’s credit score and cost thousands of dollars in illegal purchases. Recovering from identity theft may take a long time and can require great effort. That’s why it’s especially important for consumers to take steps to protect against identity theft. Consumers should always be wary when giving out financial information and should regularly check their account statements for any activity out of the ordinary. Credit card service scams make up what amounts to a billion-dollar business, with seemingly unlimited possibilities to exploit merchants, banks and consumers. Card companies are striking back with an effort to recoup some of their losses with improved technology. The cost for credit card fraud in the U.S. was more than $8 billion in 2015. About 52% of credit card fraud transactions occur at retail stores and the other 48% take place online or other places where the card is used. Banks and card companies absorb most of the financial responsibilities for the fraud. However, in October of 2015, major card companies installed an EMV chip in credit cards and that is expected to significantly reduce fraud at the retail store level. The EMV (Europay, MasterCard, Visa) chip creates a unique transaction code that can’t be duplicated. If you use the card at shop A, it produces a unique transaction code. If you go to shop B and make a purchase, the transaction code changes again to another unique setting. Thus, if a thief steals the information from your card at shop A and tries to use that information anywhere else, the transaction will be denied because he is attempting to use a duplicate transaction code. This is a dramatic change from the previous system where credit cards used a magnetic stripe that contained unchanging data that was duplicated for every transaction. Each time you swiped a card, it used the exact same transaction code as it did anywhere else. The fact the code never changed makes it easy for thieves to steal either your credit card or the information on the magnetic stripe and use it to defraud you and merchants over and over again. The EMV card has been used for years in Europe and other places in the world, but it only recently has been introduced in the United States. Merchants are not required to use it – yet! The cost of implementing the system has discouraged small and medium-sized businesses from using it. However, because banks and card companies are going to force merchants to absorb a larger share of money lost to fraud, it seems inevitable that these businesses eventually will adopt the technology. Merchants, banks and card companies must deal with the endless ways that credit card thieves have found to exploit the current magnetic stripe card system and commit fraud with that information. Lost or Stolen Card – If your card is being used without permission, report it immediately. It is a costly event for everyone involved. Skimming – Your data is skimmed from the magnetic strip on your card and then used to encode fake cards or make online purchases. Restaurants, ATM machines and gas stations are popular skimming sites. Phishing – Computer hackers send malware to you via email. When you open the attachment or click on a link, it instantly downloads a program that gives the thief access to all the information on your computer, which could include every keystroke, including passwords. Fake Cards – A card is created that appears to be a legitimate credit card, but has a bogus name and numbers that are not associated with any credit card company. ID Theft – If a criminal gains access to your personal information (name, address, social security number, etc.) they could use the information to open new accounts with it or take over existing accounts. Change of Address – A criminal could use your name and request a change of address for billing, then call the credit card company and ask that a replacement credit card be sent to the fake address. Computer hacking for personal, credit card or bank account information is an increasing problem for every consumer. There have been so many data breaches at major companies that experts in the field say it is far more likely that your personal information has been compromised than not. Yahoo – The internet giant was in negotiations with Verizon in September of 2016 when it announced that it was the victim of a “state-sponsored” breach that exposed four billion user accounts. Equifax – The credit bureau giant exposed information on 147 million consumers in 2017 and sat on the information for months before releasing it. Anthem – The insurance giant had names, addresses, social security numbers and employment histories of 79 million customers exposed in 2015. Uber – Hackers were able to get names, email addresses and mobile phone numbers for 57 million users and driver’s license numbers for 600,000 drivers. Home Depot – 56 million customers saw their credit and debit card information exposed. Home Depot paid $19.5 million to compensate customers. S. Voter registration leak – The entire U.S. population of registered voters — 191 million people – had their names, addresses, date of birth and phone numbers exposed because of an insecure database. Federal Office of Personnel Management – More 21.5 million government workers personal information was taken in 2015. If you have used your credit card with any of these businesses, it is very likely your personal information (at least) and credit card number (at worst) have been compromised. With so much compromised data available, it may take some time before you see fraudulent activity on your credit card. Create strong passwords for all your accounts. Minimize the number of credit cards used. Avoid giving out personal information such as address, social security number, etc. Keep records of account information in a secure place. Shred any documents with your credit card number on them. Pay and receive bills electronically. Check your credit report to verify all existing accounts. When you discover that fraud has been committed with your credit card, it is imperative to act quickly to limit damages to all parties involved. Consumers usually are not responsible for fraudulent activity with a stolen credit card or account number. The Fair Credit Billing Act limits liability to $50. The first thing consumers must do is call the bank or company associated with the account and close it immediately. This helps protect all parties involved. A lost or stolen card could have a significant effect on your credit score so the next step should be to contact the credit reporting agencies and make them aware. The nation’s three credit agencies will put a fraud alert on your credit file, which tells lenders you have been a victim of fraud. It is helpful if you file a report with the Federal Trade Commission, which uses the information to spot trends in identity theft to help them break up large rings of thieves. The next step is to file a police report on fraudulent credit card activity to serve as proof should you need to contest credit card charges or have a dispute with the card company. The police likely won’t try to solve the case, but there is proof you were innocent of wrongdoing and it could help them solve identity theft cases. The final stop is a series of precautionary moves to reduce the damage from any information that was stolen. Things like changing passwords and pin numbers, contacting utility and phone companies to alert them in case someone tries to open an account in your name and maybe even getting a new driver’s license are all good ways to ensure you don’t suffer from the loss of information. The Federal Trade Commission does periodic studies that ask consumers if they were victims of fraud and what type of fraud. The most recent survey was done in 2011 and found 25.6 million U.S. adults said they were victims of one or more types of fraud. There were an estimated 7.6 million incidents of weight-loss fraud (products or programs that didn’t meet advertised goals) in 2011. The second most popular fraud involved prize promotions with 2.4 million people victimized. Another 1.9 million people said they were either billed without permission for membership in a buyer’s club or billed for internet-related services such as home service, website hosting or web development. Fraudulent work-at-home programs rounded out the top five in the survey with 1.8 million victims. The people were told they could earn money working from home but didn’t earn even half the amount they were promised. The FTC survey also studied the victims of consumer fraud and what characteristics led to them to be taken advantage of by fraudulent businesses and people. People willing to take a risk, especially those buying weight-loss products. Those who experienced a negative event such as divorce or death of a family member or friend. People with more debt than they could handle. African Americans (17.9%) and Hispanics (13.4%) were more likely than whites (9.0%) to be victims of fraud. Dishonest individuals have many ways in which to promote their frauds. Two well-travelled routes to a consumer’s pocketbook are over the phone and via the Internet. Also targeted by scam artists are older Americans with disposable income. Fraudulent schemes involving mortgages are one of the least known, but still very common forms of financial fraud happening to consumers today. According to the National Crime Prevention Council, 74% of loans in 2013 were involved in some kind of fraud, an 18% increase in just two years. Mortgage fraud is the misrepresentation or omission of facts relating to a real estate transaction. It includes foreclosure rescue and loan modification schemes, illegal property flipping and builder bailout/condo conversion, among other things. Only your mortgage servicer has authority to modify your loan. No third party can guarantee or approve loan changes. A company demands fees in advance of services. A company offers money-back guarantees for loan modifications. A company advises you to stop making mortgage payments or tells you to send payments to a different lender. You are pressured to sign over the deed to your home or sign papers you didn’t read or understand. If you are a victim of mortgage fraud you can file a complaint with the Consumer Financial Protection Bureau, the Federal Trade Commission or the state attorney general. Every day people are contacted by telephone with bogus offers that give con artists access to personal data that can be used for fraudulent purposes. The most popular form of phone fraud is when someone calls and claims to be representing a government agency, a charity, a bank or credit card company that needs to verify your personal information for their record-keeping. They will ask for your full name, address, social security number, etc. That is the first step toward identity theft and some consumers still fall for it. Government agencies do not call to verify information. They use mail. Same goes for banks and credit card companies. Some callers even claim to be family members in desperate situations that require your immediate assistance. They will claim they were robbed of identification, money and credit cards and beg for you to bail them out with a wire exchange. If someone calls with requests for money, a “free offer” or wants personal information, ask for the name of the company they represent and an address for the company. Then go online and do a search for the company that includes words like “scam” or “complaints” to see if they are legitimate. It’s illegal for anyone to ask for money up front for the service or “prize” they say you’ve just won. Be skeptical of “trial” offers. The “trial” may only last a week or a month and then you get billed for the service. Do not respond if the caller asks you to wire them money. It’s extremely difficult to get your money back. To avoid telemarketers and reduce your chances of being called by scam artists, you can put your phone number on the national “Do Not Call” list by calling 888-382-1222. You can also sign up for free scam alerts from the Federal Trade Commission at ftc.gov/scams. Internet fraud becomes more sophisticated each year, and there are many ways in which consumers can become victims. Some internet frauds mimic versions of those perpetrated over the phone — with promises of cash or benefits in exchange for personal financial information. Internet business fraud probably is the most common hoax used on the internet. Businesses open a site online long enough to sell something and collect money before closing. Be skeptical of prices or rebates that seem too good to be true. Email schemes are notorious and they come from all directions. Debt collection, charities, coupons, dating and health product scams are among the most common that find their way into your email box. The scammers get money or personal information from you by preying on fear, willingness to help people in need or excitement over finding a deal. More sophisticated scammers use the Internet to contact you with bogus government grants, IRS related scams and even use email addresses that appear to be straight from the FBI or CIA to get personal information that will be used in some other fraudulent way. Members of the military, especially veterans, are prime targets for fraud with bogus offers of financial assistance or services, supposedly from government agencies, arriving at your inbox. A majority of internet fraud concerns internet auctions. Illegitimate online auction sites offer up goods for bid that simply do not exist, or if they do exist, may be stolen. Non-delivery of merchandise occurs when a scammer puts up an item for sale that doesn’t exist and thus is not delivered to the buyer. 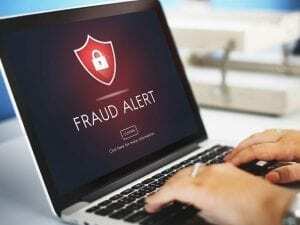 A particularly common internet fraud is any variation of the advance-fee scam (popularly known as the “Nigerian scam”). In this, the victim receives an email promising a share of fictitious monies being held within a country’s banking system. The email sender states that he cannot access any of the money until someone helps him free the funds with an advanced payment or the information for a U.S. bank account. Know Who You’re Dealing With – If you aren’t familiar with the business, check with the Better Business Bureau or look them up with a state consumer agency. Ask for a physical address and telephone number to help verify the business is legitimate. Protect Your Personal Information – Only share information like your social security number, date of birth and bank account numbers if you are certain the business you’re dealing with is legitimate. Avoid Unsolicited Email – These might be the biggest cause of internet fraud. Don’t respond until you have verified that it is a legitimate business. Legit businesses list contact information on the bottom of their website. Be Careful Online – Be wary of online vendors, especially those from outside the United States. Use Credit Cards to Make Online Purchases – This way, you can dispute the charges if something goes wrong. Investigate every organization or business before dealing with them online. Even charity isn’t immune from con artists. Scammers have found ways to tap into people’s generosity by setting up fake charitable organizations and convincing donors to give money that goes directly into an imposter’s pocket. The scam artists set up websites that look very much like the ones run by well-known and reputable charity. If you’re not paying close attention, you may be conned into thinking you’re donating to a legitimate organization, when in fact, you’re sending your check or credit card information to a cheat. While these scams happen throughout the year, they are especially active after a major natural disaster (e.g. earthquake, hurricane, etc.) and during income tax season (February-April) when people are looking at their donations for the year. The IRS has a search feature that allows you to search for exempt organizations and about their status and tax filings. This can help you determine if you’re donating to a worthwhile charity. Fake lotteries aren’t as prevalent as fake charities, but they do exist. In these instances, you will receive a phone call that says you won a prize and need to send money to cover insurance, taxes, bank fees and other bogus incidentals. The scammers collect your money and you get no prize. Be careful never to buy lottery tickets from a foreign country. Also, when asked to give out personal information to prove you are the winner of some bogus contest or lottery, do not disclose any of it or you could become a victim of identity theft. Senior citizens — many who were raised to be trusting and polite — are commonly the victims of scam. They may be easier to pressure, more afraid of being considered rude, and less likely to recognize malignant motives. These attributes make them particularly attractive targets. The elderly are also more susceptible to phony products that promise to increase longevity, fight disease and promote cognition. Therefore, they may be more easily convinced to purchase counterfeit prescription drugs, anti-aging products, health care and insurance plans. Scammers selling risky investment schemes and reverse mortgages also target them. Some consumer frauds do not directly target individuals but nonetheless impose costs that are borne by society as a whole in the form of higher bills or taxes. Medicare Fraud – Medical equipment manufacturers offer free medical products to senior citizens but require Medicare numbers. It could also refer to when professionals and institutions defraud the U.S. government’s Medicare program with inflated bills for services or phony bills for non-existent procedures. Social Security Fraud – Ineligible individuals file for benefits under false pretenses, or cash checks for relatives who are deceased or otherwise no longer entitled. Insurance Fraud – Bogus claims are made to insurance companies for accidents that didn’t happen or damage that is less than reported. Tax Fraud – Taxable income is either not reported or under-reported, or financial information is falsified in order to lower a tax bill. Other deceptive practices are classified as scams — some of which require the unwitting participation of consumers. Some scams use sophisticated technology, while others simply rely upon a compelling pitch to fool a victim. This is a technique for acquiring user names, passwords, PIN numbers and other credit-card details by masquerading as someone trustworthy. For example, a consumer may receive an e-mail reporting a suspicious transaction on his account. The consumer may be asked to confirm the account’s card number so that the “bank” can “investigate.” The information gathered can then be used to break into and compromise the user’s account. This scam also can be accomplished over the telephone. How to Avoid Phishing: Never give out your account number(s) to anyone, especially over the internet. Always contact your bank first to verify if the problem is real. Misleading advertisements in print, on TV and over the internet that attempt to sign up people for new credit-card accounts with offers or “guarantees” of easy credit, lowered rates, no fees, and/or a high credit limit for individuals who, for one reason or another, cannot qualify for accounts with established credit-card companies. How to Avoid Misleading Statements: Use your head. If established credit card companies are refusing you credit, you can be pretty sure that the fly-by-night companies are just out to take your money. According to the Federal Trade Commission, if a company is promoting its ability to remove negative, but accurate, credit information from someone’s history and actually does so, it is breaking the law. How to Avoid False Promises: The only cure for a bad credit score is time and persistence in paying your bills. If there is something legitimately wrong or incorrect on your credit report, you can contact the credit agencies yourself and attempt to address the problem. Emergency texts on a cell phone alerting to a “problem” with an account and then asking for the three-digit security number on the card in order to “fix” it. How to Avoid Fake Alerts: Delete, delete, delete. Never respond to phone texts from unknown sources. Web sites that download malicious software — spyware, key-loggers, viruses and/or pop-up ads — that ask for, or steal, passwords or other personal information. How to Avoid Spyware: Make sure that you install a good security system on your computer to protect you from malicious software and never open an attachment from an unknown source. Ads that ask a consumer to dial a 900 number for information about a credit card. The scammers make money off charges for the call. How to Avoid 900 Number Scams: The 900 number is a dead giveaway. A legitimate business will not ask you to pay for the phone call but will provide a free 800 number. Trial offers that consumers accept without knowing they must cancel the account if they don’t want their credit cards to be charged after the trial period ends. How to Avoid Fake Trial Offers: Read the fine print. If you get locked into a trial offer that requires cancellation, do so in writing and over the phone. Threaten to call the Better Business Bureau or say you are calling your lawyer. These companies are usually skirting the law and don’t want any trouble from an irate consumer. Credit offers in which the fine print requires some form of security, or where the promise of collateral is otherwise hidden. Defaulting on a secured credit account can cause a consumer to lose property. How to Keep Your Credit Rating: Never sign a secured loan contract. Credit card accounts are non-secured loans. Online auction sites that manipulate users into buying items by the use of deceptive bidding schemes. Hint: Stay away from these sites — period. Online shopping sites that offer products that either don’t exist or don’t live up to their claims. Hint: Stay away from these sites. Protect your credit by using your head and learning to recognize the danger signs of deception and deceit. Federal Trade Commission. (2012, February). Consumer Sentinel Network Data Book.